Pok Pok – Overworked. Underfed. Who would have ever known that the best Asian food in Portland would be the Thai food. I don’t think there a lot of Thai people here according to my Thai friend Verde, but he’s not always the most accurate source of information. 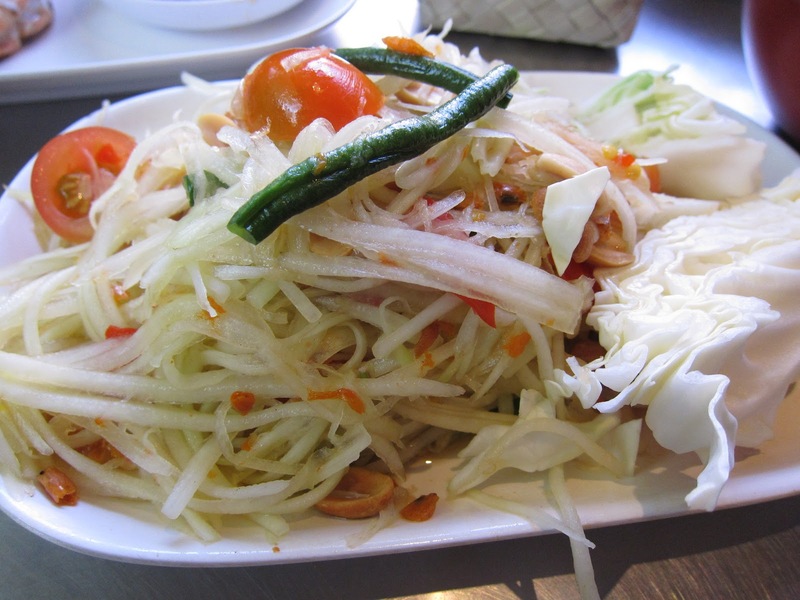 Anyways, the Thai food is very solid and easily accessible, unlike in LA where the good Thai food is only in Thai Town. They do this pretty good here. 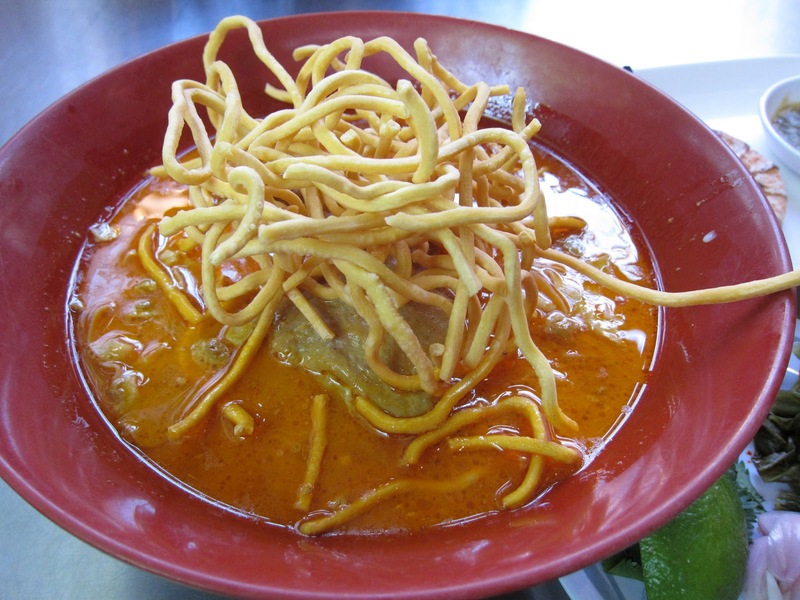 Coconutty, spicy, salty, sweet curry with egg noodles. We always share this dish among a couple of people, but there not a whole lot of noodles to go around. Next time I want my own! Next time I’m always gonna throw all this stuff in there too. I think it’ll really kick up the flavor. 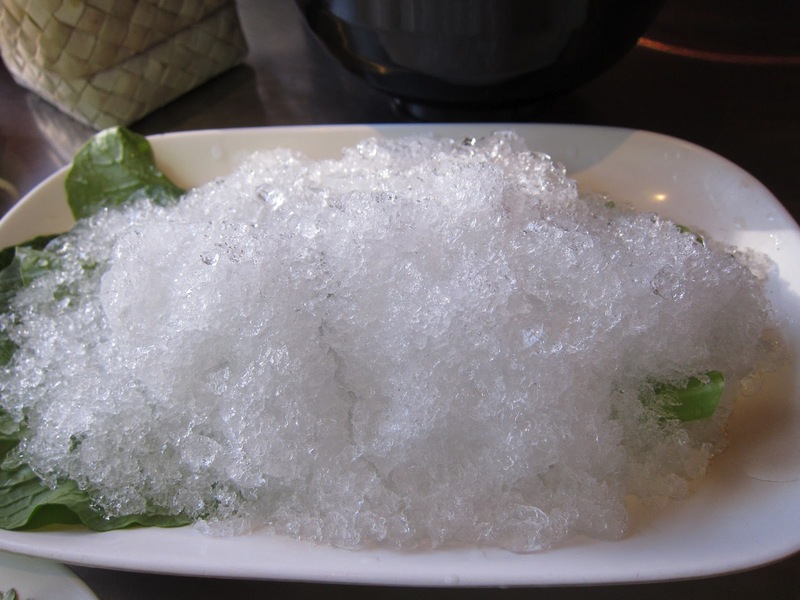 Another solid well known Thai dish. It was light, refreshing with the perfect amount of tang and fishiness. I love all the all the different textures going on here. I’d eat this all the time if only Dumpling Man enjoyed it as much as I do. My dining companions didn’t like having to peel the prawns but I’m lazy and I try to eat through the skin. I loved the pungent dipping sauce! Hmm, not sure what went wrong here but I wasn’t terribly impressed wit this dish. Some weeks later, some other friends had this same dish and RAVED about it. 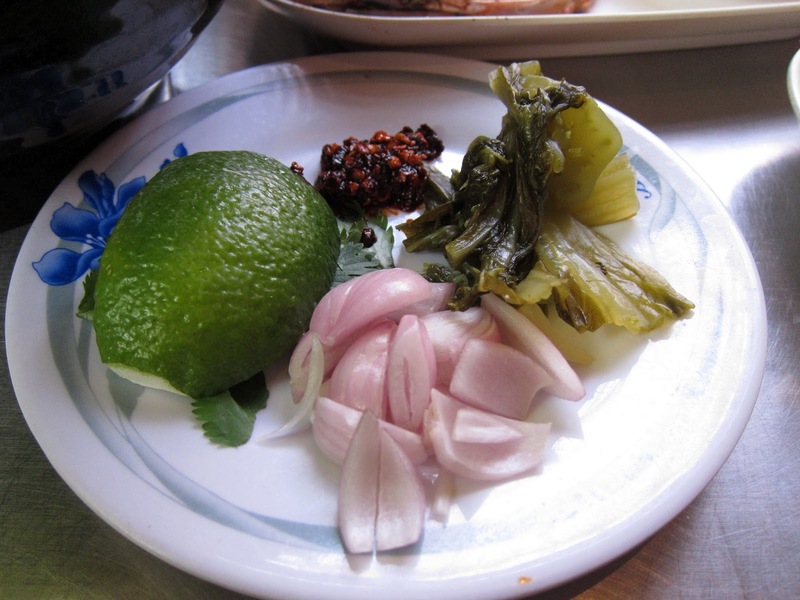 It was interesting that the boar meat was intended to be eaten with chilled mustard greens. I don’t think I could fully appreciate this way of enjoying the dish. 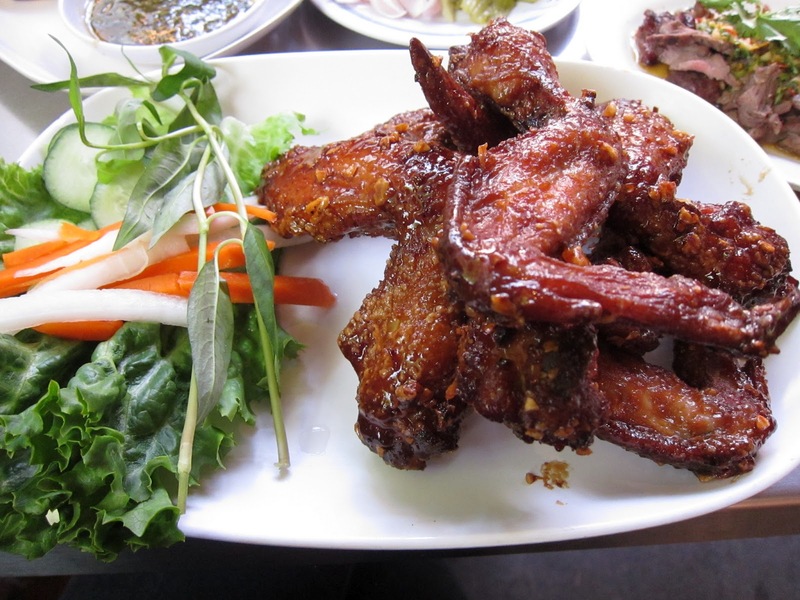 I’ve previously RAVED about these wings, and they were nothing short of amazing the second time around. I’m not sure if I can still call them the BEST wings ever after having the ones at Crisp, but they are certainly a favorite a must try if you’re in ever in Portland. I think by this point we were still a bit hungry so ordered some extra dishes. The pork skewers here were dry and not very interesting. I wouldn’t recommend these. These weren’t as dry as the skewers but were a bit underwhelming. The sauces were nice, but it’s always hard to get enough when you’re with other guests because you don’t want to double dip, but really I do. I really do. 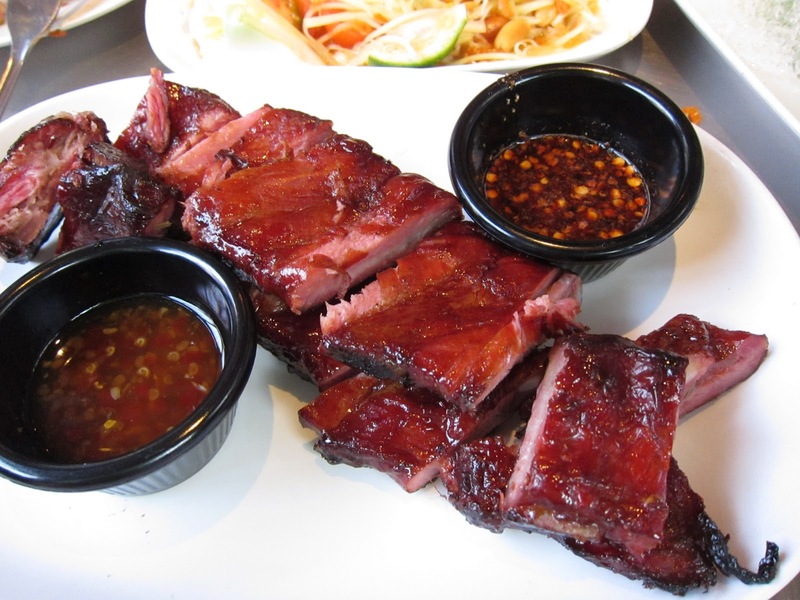 Pok Pok never disappoints. 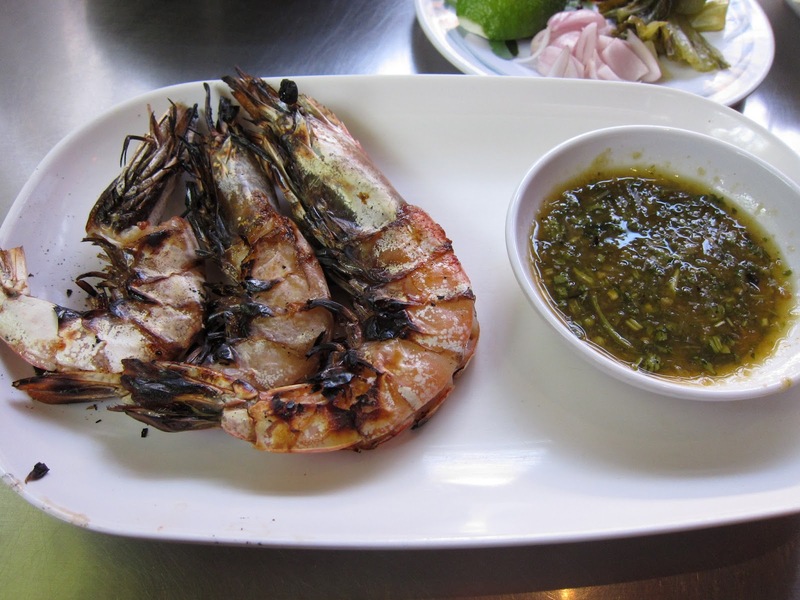 It has Thai dishes that you’re unlikely to find anywhere else except in Thailand itself. You won’t find pad see ew or pineapple fried rice here. It’s just not that kind of place. 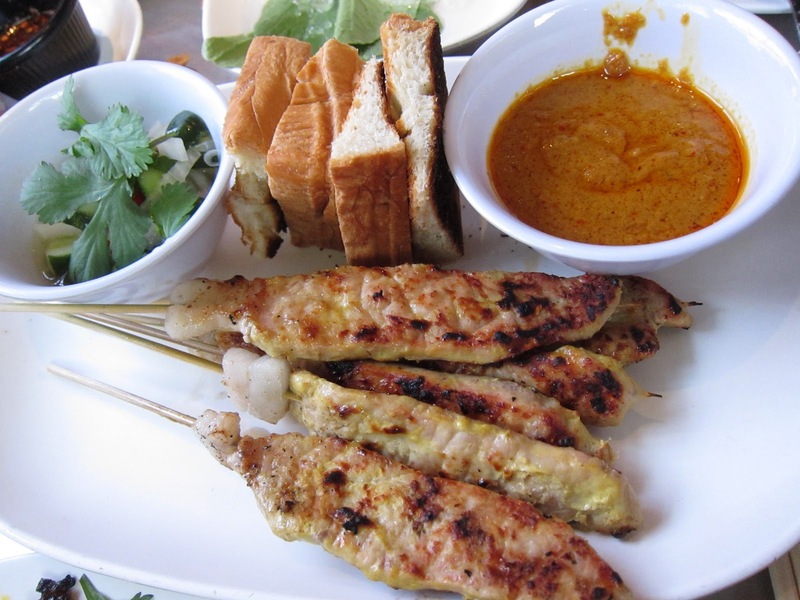 The focus is on Thai street food in a very casual atmosphere. It’s surprising how very authentic the food here since Pok Pok is the brain child of a white guy named Andy Ricker. 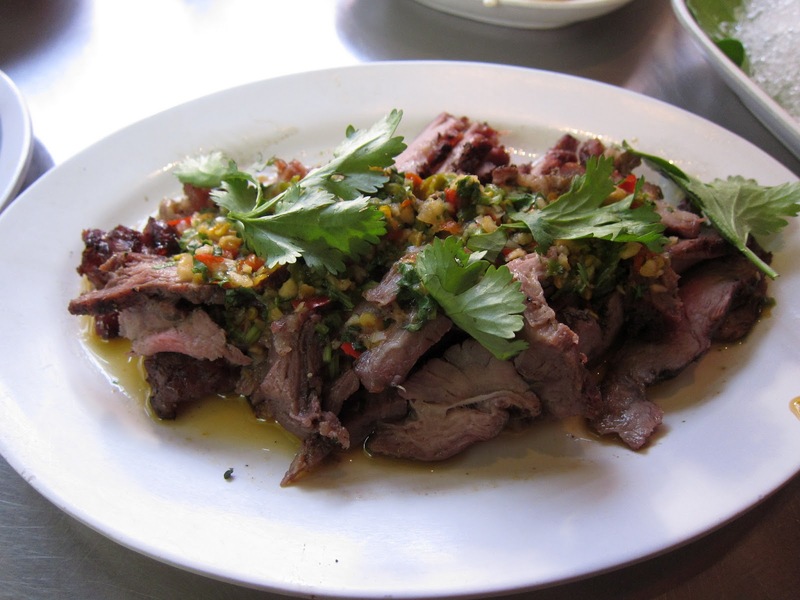 He won the James Beard Award for Best Chef Northwest in 2011 for his work at Pok Pok. I wonder how the actual Thai owners of other Thai restaurants in the area feel about a white guy showing them up on their own cuisine?? Come as early as possible or you’ll surely be waiting an hour for a table!